Manchester United have reportedly been dealt a major blow as star player Paul Pogba has apparently turned down a new contract with the club as he pursues a big transfer to Spain or Italy. 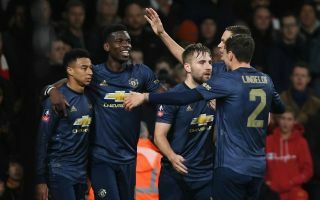 The France international has been in superb form this season, but now feels he’s achieved all he set out to at Old Trafford and wants to leave for a new challenge, according to AS. This is hugely worrying for United, who have waited years to see Pogba reach his best form in a red shirt, but may now lose him shortly afterwards as AS claim his agent Mino Raiola is working on finding him a new club. This follows a similar report from Marca that claimed Pogba wants to join Real Madrid, while Don Balon have claimed the 26-year-old is tempted by a return to his old club Juventus. Either way, the Red Devils must surely do all they can to keep hold of Pogba for a little longer, or their considerable investment in him in 2016 won’t really have been worthwhile. It’s only now since the departure of Jose Mourinho that the player has really displayed his immense ability and flair for the game, and it would be such a shame if Ole Gunnar Solskjaer were dealt this early blow to his MUFC career by losing a player who’s been such a big part of his team’s revival.